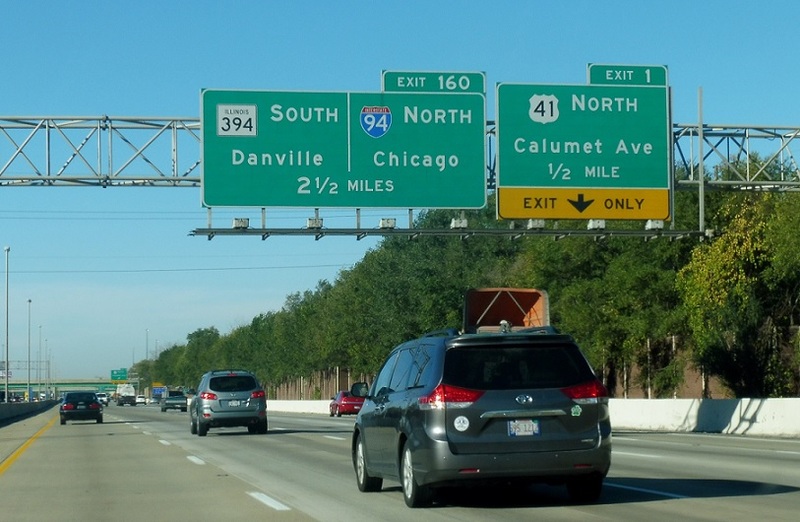 Reassurance shield for the interstates as US-41 joins. And for the US highways. Just after that, exit ahead for US-41 north. 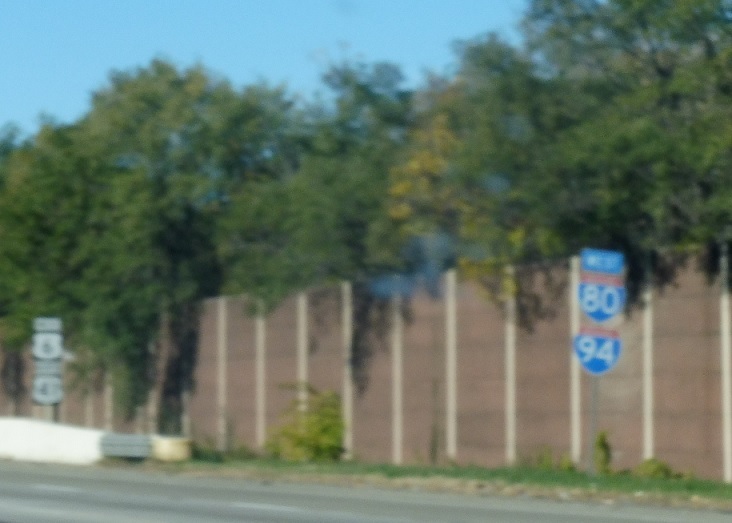 We’re almost to the state line, and two exits into Illinois, I-94 will split from I-80 to head up into Chicago. 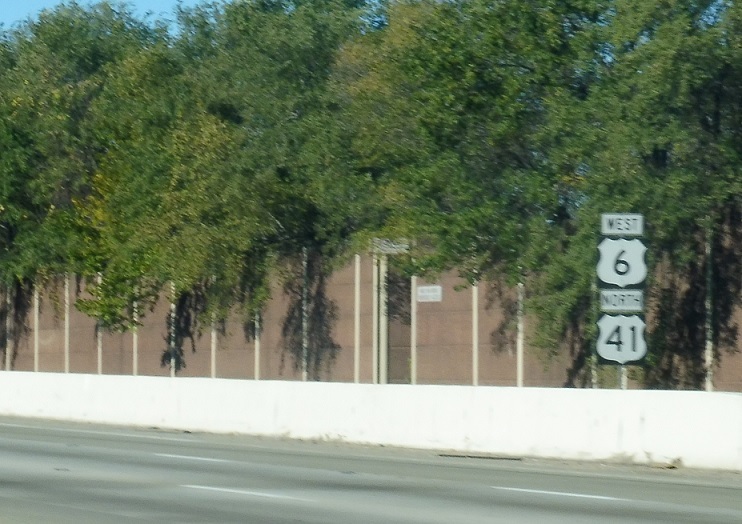 The Illinois Route 394 freeway also splits at that point.